SACRAMENTO (KGO) -- Some holiday cheer is on its way to the State Capitol. 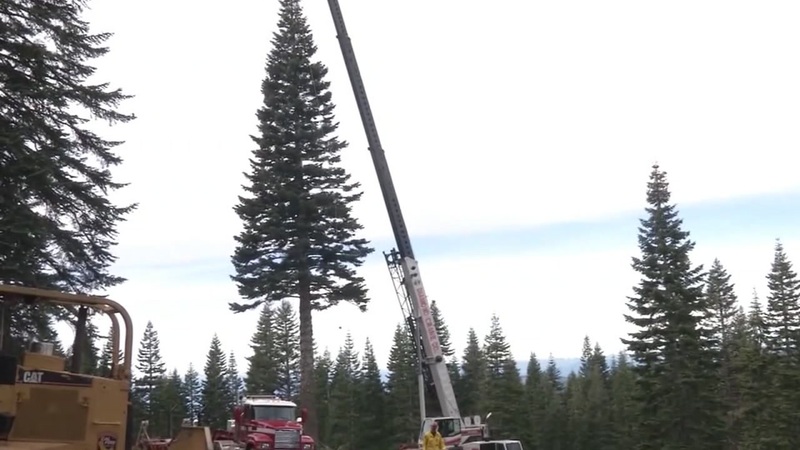 Crews have cut down the State's Christmas Tree in a forest East of Redding in Shasta County Monday. The White Fir stands about 53 Feet Tall, around 5 stories high. It will eventually be decorated with 10,000 LED lights. Officials say this is the 5th time the State's official tree came from this forest.